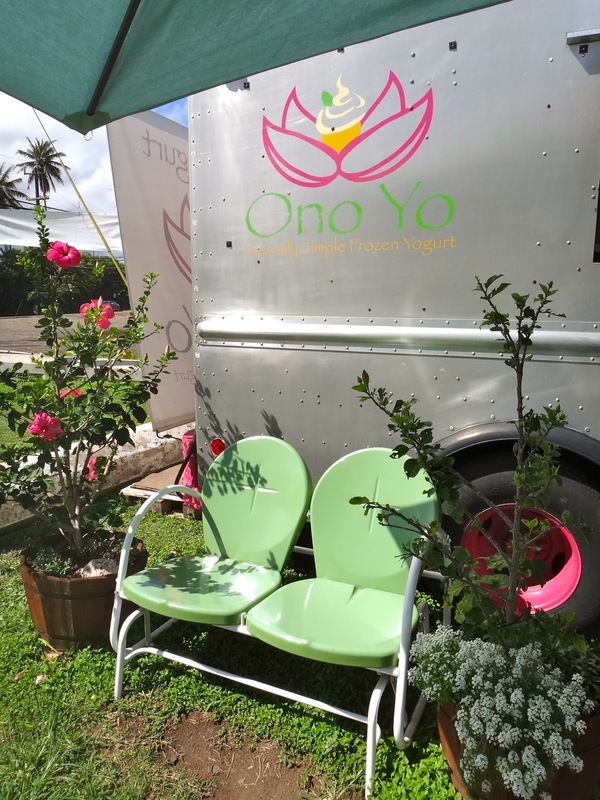 Between my work appts on the North Shore, I stopped on the side of Giovanni's Shrimp Truck, and saw Ono Yo, a frozen yogurt truck! Determined to try this place because (1) I love froyo, and (2) have never seen a froyo truck on the North Shore or ever on this island. Ordered a kid size of Plain and Lilikoi froyo with granola and fresh pineapple. While it was no Yogurtland or Shirokiya froyo, the truck was cutely-painted, they spent time making a nice seating area with umbrellas and the yogurt was a great snack. The Plain and Lilikoi was also swirled together!